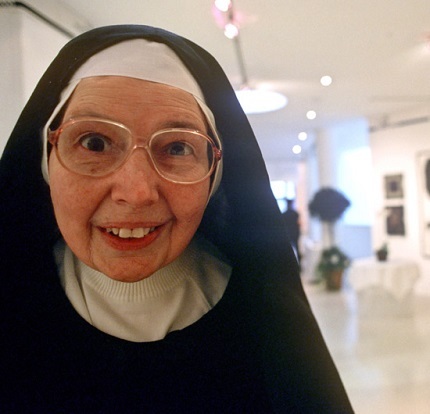 A few days ago I blundered into a late-night PBS showing of a Sister Wendy art venture. She began her invasion of a museum in Pasadena, California, proclaiming that everything in the museum was collected by Norton Simon. I bridled immediately. The statement was false. 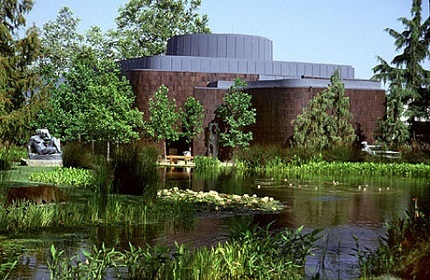 It is true that the museum is now named the Norton Simon Museum and it houses his huge art collections. But I knew the museum when it was the Pasadena Art Museum. Before Simon came along it already owned an assortment of art that included the world-class collection of nearly 450 German Expressionist paintings donated by Galka Scheyer. German-born Scheyer represented The Blue Four: Paul Klee, Lyonel Feininger, Alexei Jawlensky, and Wassily Kandinsky. She was initially sponsored by William Henry Clapp and the Oakland Museum. The Pasadena Museum was the only museum between Oakland and La Jolla, California, showing modern art. The museum began its life as the Pasadena Art Institute, organized by local citizens who wanted to foster the arts. They obtained 9.5 acres of choice land and a 22-room Victorian mansion. Later the Institute shared space with the Grace Nicholson Treasure House of Oriental Art. The Institute changed its name to the Pasadena Art Museum in 1954, after it received the Scheyer collection of more than 500 works of art and her massive archives. To quote one writer, the gift made the museum "one of the richest institutions in the world in this aspect of modern art." The museum went on to acquire a notable number of important post-war American and European artists. Walter Hopps arrived as curator in 1962, and organized important cutting-edge shows featuring Marcel Duchamp, Kurt Schwitters, and Joseph Cornell. Hopps drew up a list of important architects and proposed that a new museum be built on the original Carmelite Park site. An 85,000-square-foot museum was constructed on Colorado Avenue, the much televised Rose Bowl Parade route. With its lovely gardens, the new museum, which showed its own collection, traveling shows, and local artists, was struggling with heavy debts. Born to a Jewish family in Portland, Oregon, Norton dropped out of law school at UC Berkeley and soon after invested in an insolvent bottling plant in Fullerton, California, and renamed it Val Vita Food Products. He added fruit and vegetable canning lines. Then he merged the company with Hunt’s Foods and began high-visibility promotions: full-page ads in Vogue and Life featuring Hunt’s ketchup bottles. By the end of World War II, Hunt’s foods had become major players. Simon increased his market penetration by buying up struggling companies whose market values had still not recovered from the Great Depression. He began diversifying, moving into established companies. He acquired McCall’s magazine and its parent publishing company, Canada Dry Corporation, Max Factor, Avis car rentals, and a television production company. He sold Norton Simon, Inc., in 1983, and eventually the conglomerate became a part of ConAgra. I had a good friend, a Ph.D. in agricultural economics from Purdue, who worked for Simon in Fullerton during this expansion period. He admitted Simon’s business acumen, but he was happy to get away to a senior position with the Mars Corporation, for whom he once cornered the world cocoa market. While all this was going on, Norton Simon had become an art scholar, an avid collector, and a board member of many cultural institutions. His collecting was not cornered into a limiting room. It ran from Renaissance to modern, along with an astonishing collection of Asiatic art from India and other Oriental locations. Included are three authentic Rembrandts and a much-admired still life by Zurburan, Still Life with Lemons, Oranges, and a Rose. In the PBS program, Sister Wendy spent a great deal of time dealing with the mystical symbolism of this great painting. 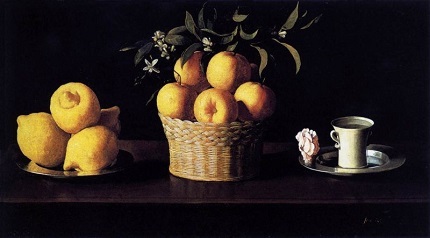 Zurburan’s Still Life with Lemons, Oranges, and a Rose. Simon’s collection soon exceeded 4,000 pieces, parts of which he generously loaned to exhibitors. Struggling with heavy debts, the Pasadena Art Museum faced bankruptcy and closure. The trustees approached Simon for help. Simon took over the museum, paid its debts, installed his own collection, and eventually renamed the institution the Norton Simon Museum. Active in the management of the museum, through this period and after Simon’s death in 1984, was his second wife, Hollywood actress Jennifer Jones (Academy Award for Song of Bernadette, Academy nomination for Duel in the Sun). Simon’s last great art coup was his purchase of the entire residue of the great Duveen Gallery. Sir Joseph Duveen was one of the greatest art dealers of modern times, and work he sold graces the National Gallery in Washington and other notable museums and private collectors. The Colorado Boulevard gallery could not handle its holdings, and the museum was expanded. Sister Wendy was right in extolling this off-the-main track gem. She was wrong in neglecting the fact that the museum held important works of art before Norton Simon overwhelmed it.